Azure audit logs allows you to view operational logs such as actions performed via Azure Resource Manager, actions that are related to managing resources in your Azure subscription. In order to visualize and analyse these logs in much better way and also to share these information among co-workers Power BI is used. Azure Audit Log Service is supported only in Azure Preview Portal. These information can be visualized in Power BI. It is an online Service offered by Microsoft, which is used to collect and visualize data from different sources. 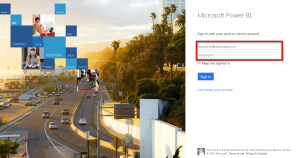 This online service can be accessed with your Microsoft work or school account. In Power BI, the data can be either directly imported or through Content Pack Library. 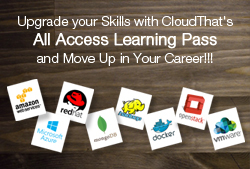 You can even create your own content pack for your organization i.e. you can create the report in Power BI and distribute among your co-workers as a content pack. 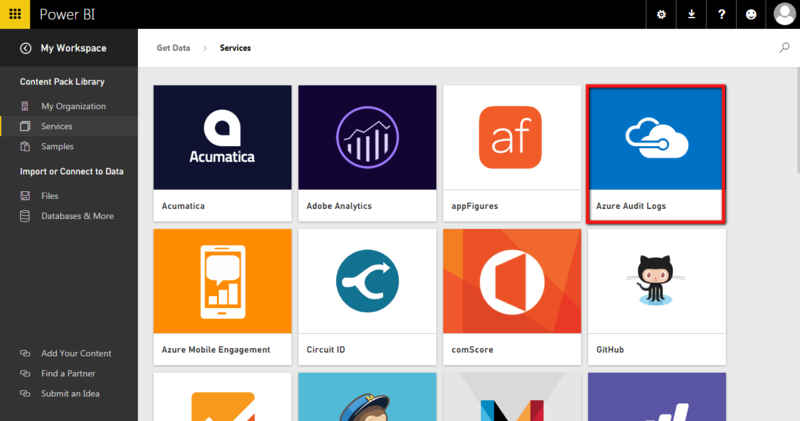 Some of the Power BI services are Azure Audit logs, Azure Mobile Management, Google Analytics, GitHub, etc. 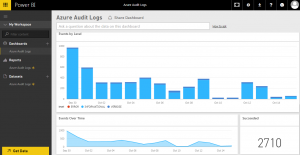 The Power BI Azure Audit Logs Content pack is used to connect with Azure Audit Logs and discover insights with the creative dashboard and reports. Once you are logged in, you will find your Power BI Work space where you can actually import data from any source. In Content Pack Library, under Services tab you will find the list of services offered by Power BI. 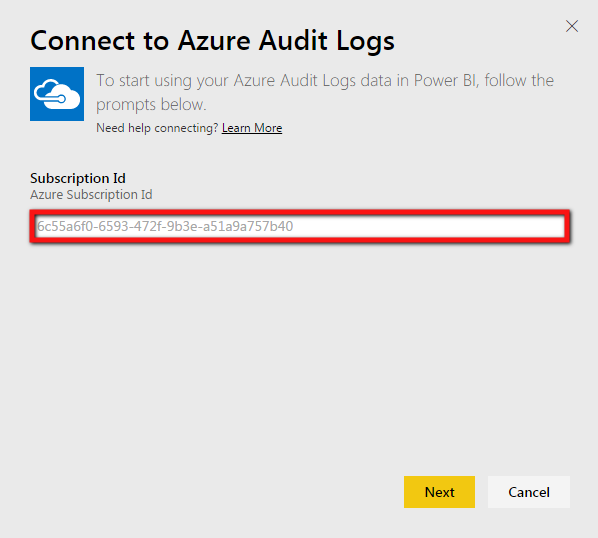 Select Azure Audit Logs in that and click connect. 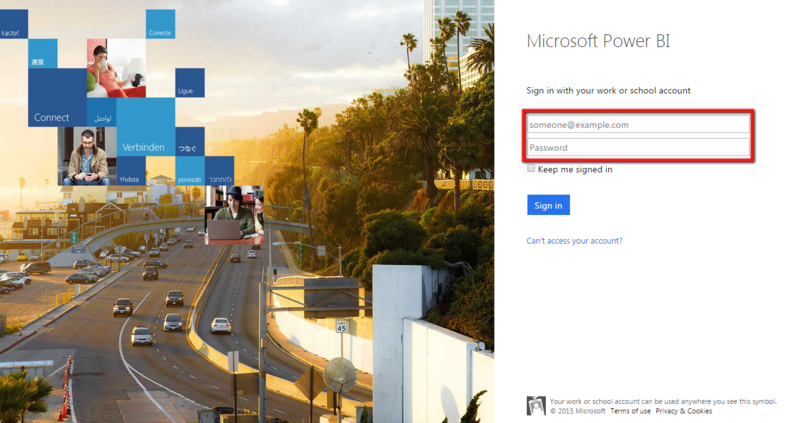 Provide your Azure Subscription ID, which you will find in Azure Preview portal under Subscriptions tab. Now, the dashboard will be automatically created with different type of visualizations. You can customize the dashboard according to your needs. 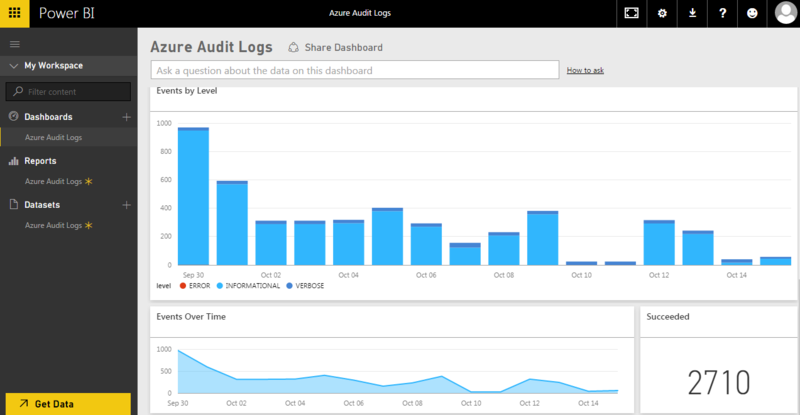 You can view the detailed reports of the Azure Audit Logs by drilling down particular event to check what has happened. Power BI is an easy way to get insights and statistics on different data sources, which can be customized according to your business needs. This Azure Audit Log content pack can be used to know what all operations others are doing, what auto scale events have occurred and what alerts are triggered over the time etc. You can share this report within your team to know about what is happening inside Azure Subscription.